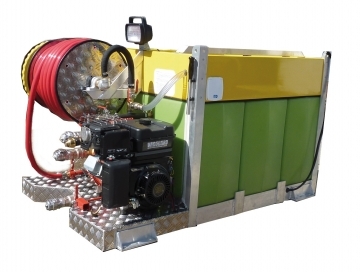 Compact, modular, self-contained fire fighting equipment, can be quickly on vehicles and towable trailers. 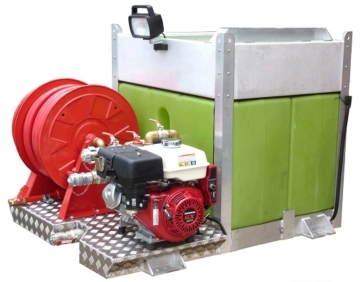 Compact and self-contained fire fighting equipment, easy to mount on vehicles and towable trailers. Includes a set of 2 reservoirs. 9 HP pump. Compact and self-contained fire fighting equipment, easy to mount on vehicles and towable trailers. Includes a set of 3 reservoirs. 9 HP pump. Compact and self-contained fire fighting equipment, easy to mount on vehicles and towable trailers. Includes a set of 2 reservoirs. 13 HP pump. Compact and self-contained fire fighting equipment, easy to mount on vehicles and towable trailers. Includes a set of 3 reservoirs. 13 HP pump.